The Long Pond Heritage Classic offers hockey enthusiasts an historic opportunity to play Canada’s favourite sport on the pond where it was invented, more than 200 years ago. Even better, the LPHC is a chance to preserve hockey’s legacy, as funds raised from the tournament support the Windsor Hockey Heritage Society and the Hockey Heritage Museum in Windsor, Nova Scotia. After reading an article in the Globe and Mail about the economic challenges inherent in running the Hockey Heritage Museum, gardening guru and Home Hardware spokesman Mark Cullen contacted friend and Windsor businessman Jeff Redden to offer his support. From this conversation, the idea for the LPHC was formed, and the Classic was officially adopted by the Windsor Hockey Heritage Society in late 2011. 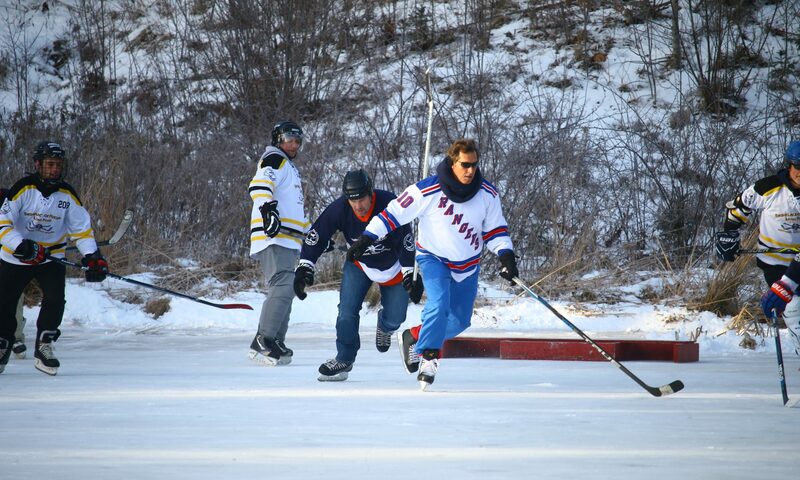 On February 11, 2012, 72 players gathered for the first inaugural Long Pond Heritage Classic. They donned custom, vintage-inspired jerseys of the Original Six teams, made the historic trek from King’s Edgehill School, and played a tournament of four-on-four shinny on Long Pond, the cradle of hockey. Reception, meals and entertainment followed.